Hey kids, watch the camera. 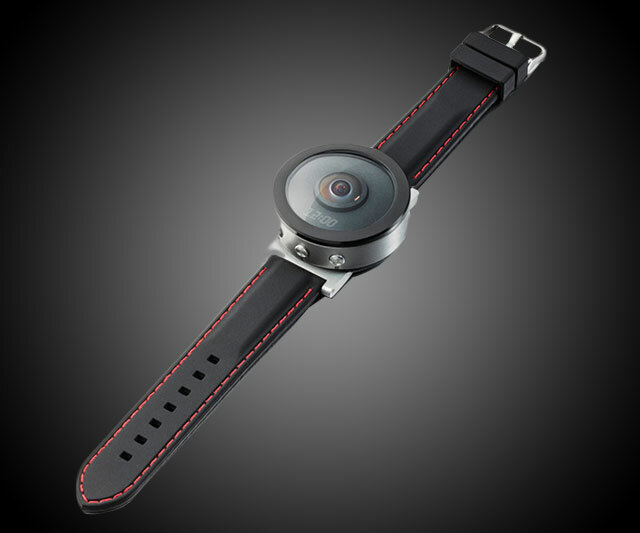 And then un-watch it when you want to take a shot or record a vid with Beoncam's 360 panoramic / 190 hemispheric camera, a wearable that snaps in and out of its wrist strap, and is no bigger or heavier than the watch you'd normally find there. Beoncam, currently in prototype stages and seeking crowdfunding on IndieGoGo, shares a lot of your smartphone's photographic capabilities: 360-degree image capture is 5MP; video capture is 1200 x 1200, 25fps; and live previewing / streaming through a companion app comes at 720p and 15fps respectively. 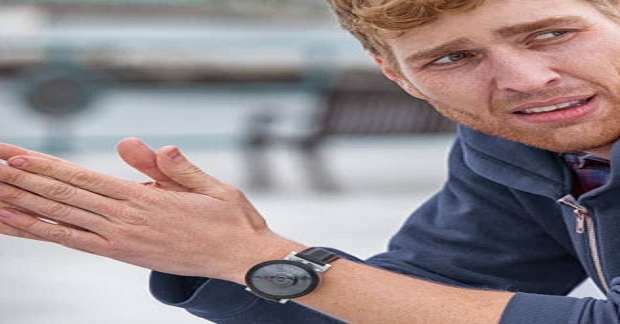 But in addition to Beoncam's added convenience of size and constant accessibility on your wrist, its ease of use continues with an always-on, one-click snapshot / recording system. 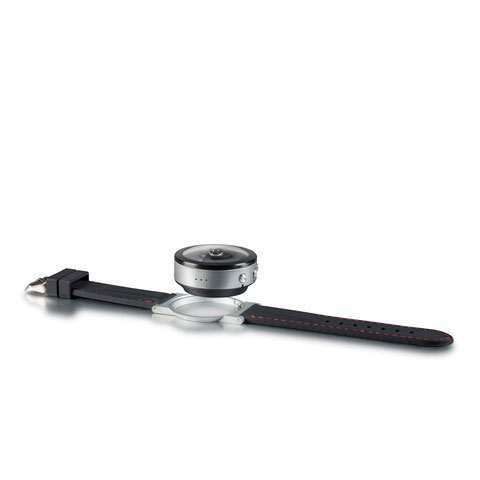 Plus battery power to support a 4-day standby time and 3 hours or continuous recording. 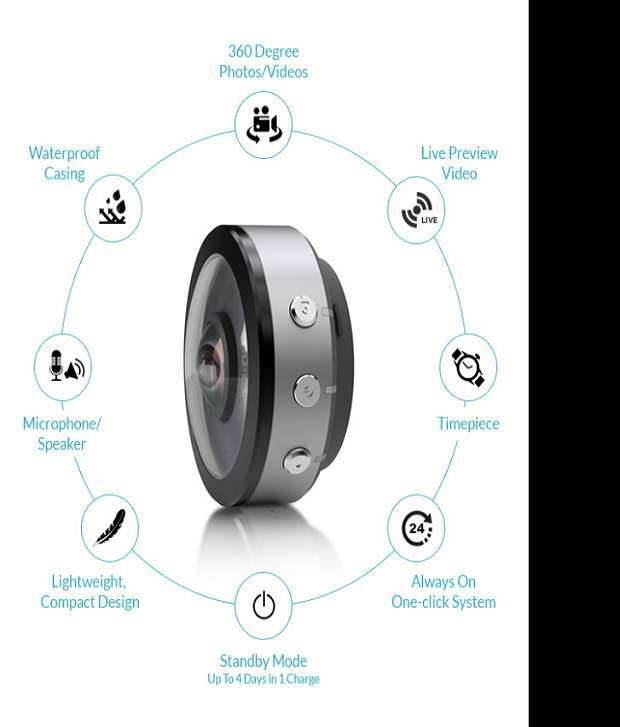 Since the Beoncam lens has a domed 190-degree design, all captured images and videos will be in circular form, with the app giving you the option to experience the full 360, as well as views Raw, Equirectangular, Sphericle, and Wide Angle. The Beoncam app also turns your phone or tablet into a remote control and, with compact image and video sizing, a source for immediate viewing and sharing socially. 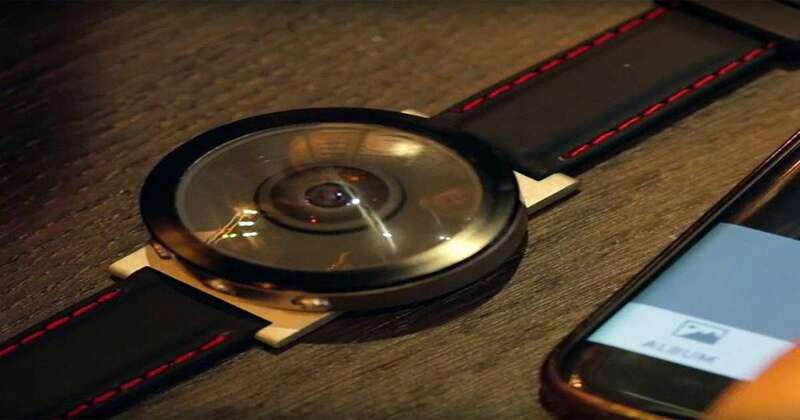 Not to be outdone by watches, Beoncam also performs as a timepiece, and can sync with your phone to show notifications. In addition to the wrist strap Beoncam maker Spacemap is developing a cradle mount with tripod adapters, a bicycle handlebar ring, a flat clip, and helmet clip as alternative ways to set up the camera. The Beoncam itself is designed with a splash-proof case, and a fully waterproof casing is on the way as an add-on too.